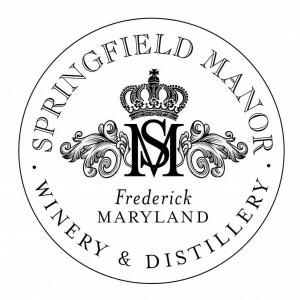 Springfield Manor is the first licensed distillery in Frederick County. As an artisan craft distiller, we produce a unique line of fine spirits which are available for tastings, as well as for bottle sales. Our product line includes lavender gin, rum, corn whiskey, fruit brandies & grappa. Our Maryland Rye is in barrel for a first release early summer. We are currently distilling & barreling bourbon as well. Our whiskeys are crafted from corn grown on our own farm, our lavender gin utilizes lavender from our lavender field, our grappa is produced from our red wine grape skins and our fruit brandies are distilled from locally harvested orchard fruits. Springfield Manor Winery & Distillery is a family owned and operated Frederick County farm conveniently located on Route 15. We offers event facilities as well as overnight accommodations. The distillery & tasting rooms are located in a stylishly renovated bank barn which seats up to 150 guests. Our ballroom seats up to 300 guests and the outdoor terraces offer unsurpassed views of the Catoctin Mountains. The winery and distillery serve light fare & host weekly live music & special events which are listed on our website www.Springfieldmanor.com and our Facebook page. Our German engineered Bavarian Holstein still is constructed to the highest industry standards. It is a superior example of both art and excellence. Shipped directly from Germany, it traveled into the Port of Baltimore. The distillery walls are constructed from the actual shipping crate that the still arrived in. Check our Facebook and website for distillery tour dates & times. The distillery is open Friday 12-9, Saturday & Sunday 12-6.